STR To Work With This Trendy Director? 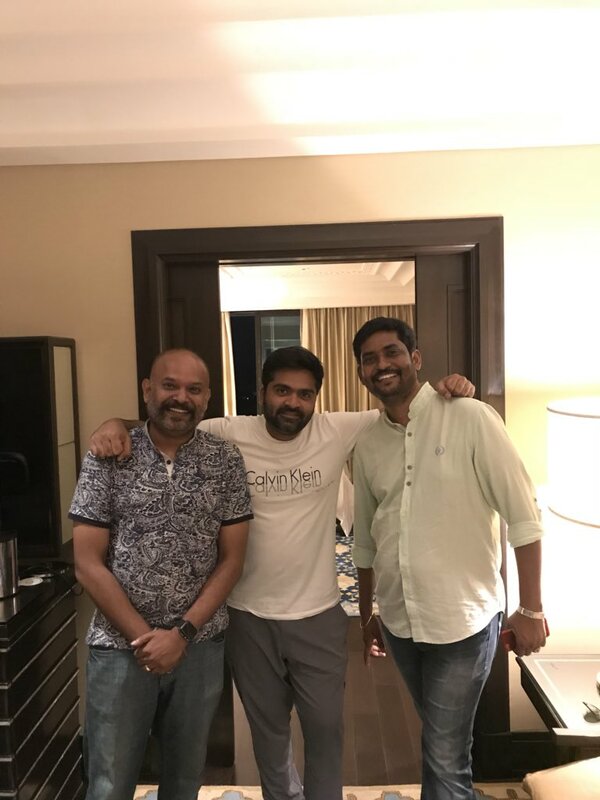 Actor STR and director Venkat Prabhu have been friends since a long time now. Few years ago, news that they will collaborating for Billa 3 became popular. The actor is now busy with the dubbing works of Mani Ratnam’s Chekka Chivantha Vaanam and Venkat Prabhu is working for the post-production work of his upcoming movie Party. It looks like the actor-director combo will unite for the first time for a movie. They have recently met privately and a pic has been doing rounds in Twitter. Let’s wait for the official good news to come out.